Vintage Cathedral Knife Edge Engagement Ring | Shane Co. This simple and classic cathedral engagement ring setting features a knife edge with milgrain detailing. 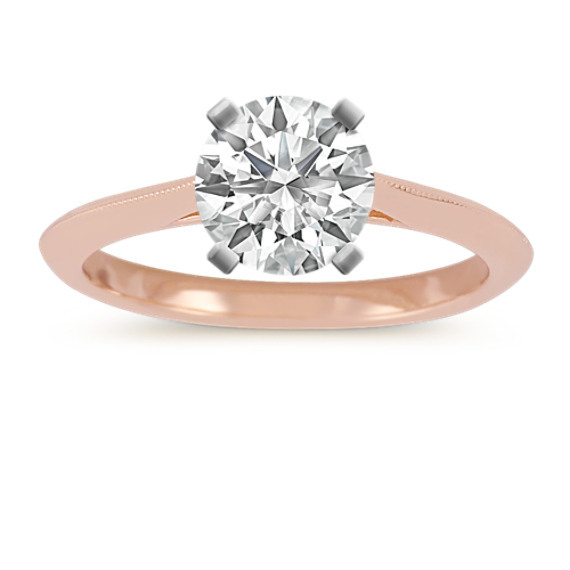 The ring is crafted from quality 14 karat rose gold and is 2mm wide. Add the center diamond in the shape and size of your choice to complete the vintage inspired look.